The office serves students with documented disabilities ensuring appropriate academic accommodations. Review of documentation and a meeting with the student, through an interactive process, will determine appropriate accommodations. Students with both permanent and temporary disabilities are served by SAS. Accommodations are based on the impact of the disability and determined on a case-by-case basis. There is no cost for the provision of these academic accommodations. The University is committed to providing equal educational access and opportunity with full participation for students with disabilities. Consistent with the Rehabilitation Act of 1973, as amended (1978), and the Americans with Disabilities Act of 1990, as amended (2008), The University ensures that no otherwise qualified individual with a disability will be excluded from participation in, be denied the benefits of, or otherwise be subjected to discrimination on the basis of disability under any program or activity offered by the University. In establishing a disability for accommodations or protection from discrimination, a student must have a disability as it is defined the ADA Amendments Act, and provide appropriate documentation. Who is an individual with a disability? The ADA defines a person with a disability as (1) a person with a physical or mental impairment that substantially limits a major life activity, (2) has a history of such impairment or (3) is regarded as having such impairment. While the ADA offers protection from discrimination for individuals who have a record of impairment and people who are regarded as having a disability, there are no accommodations necessary without a functional impact(s). A student with LD or ADD/H who has difficulty taking exams and/or notes due to tracking, processing speed, or multi-tasking. Extended exam time, a separate location, or access to copies of notes/recording lectures may be appropriate accommodations. A student with PTSD who may have difficulty with certain topics, have unexpected absences, or need access to a quick exit. Allowance for absence(s) or leaving class or specified seating may be appropriate accommodations. A student taking medication and/or has ongoing medical appointments. Priority registration, allowance for absence(s), make-up of missed exams/quizzes, or extended deadlines for assignments may be appropriate accommodations. What is a Substantial Limitation of a Major Life Activity? A substantial limitation is one that significantly limits or restricts a major life activity such as hearing, seeing, speaking, breathing, performing manual tasks, walking, caring for oneself, learning or working. An impairment that substantially limits one major life activity need not limit other major life activities in order to be considered a disability. An impairment that is episodic or in remission is a disability if it would substantially limit a major life activity when active. The determination of whether an impairment substantially limits a major life activity shall be made without regard to the ameliorative effects of mitigating measures (e.g., glasses, medication). If you believe you need an accommodation, contact Student Accessibility Services (formerly DSS) (sas.office@unh.edu; 603.862.2607; TTY 711 or 800.735.2964 (Relay NH); 201 Smith Hall). While we recommend starting this process before the beginning of the semester, you may request accommodations at any time. Appropriate accommodations that pose no undue burden or do not change the "essential" elements are provided on a case-by-case basis, as the nature of the disability and accommodations vary. It is the student’s responsibility to initiate contact and make a request for accommodations with SAS. Accommodations are only provided upon request. Once accommodations and the faculty letter are established, the student initiates sending letters each semester via Clockwork. Students requesting disability-related accommodations must provide documentation establishing the presence of the disability and its current impact. Information is necessary to ensure eligibility for services and to help identify appropriate accommodations. Documentation includes student self-report, professional judgment, and 3rd party assessments/reports. After the student self-identifies and provides appropriate documentation, the student needs to make an appointment with SAS to complete the intake process and to discuss reasonable, appropriate accommodations. A faculty accommodation letter will be created with the student. This letter will be kept on file, and sent to instructors by the student each semester through Clockwork. to discuss implementation and logistics of the accommodations. Any concerns about implementation of accommodations should be reported to SAS. The student and faculty assume equal responsibility. 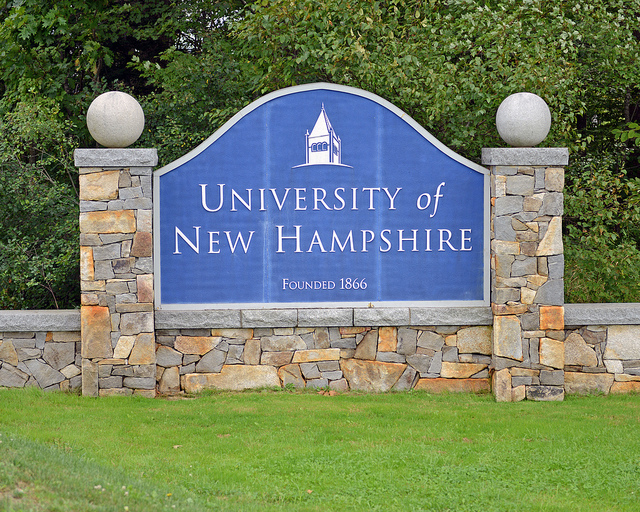 If the student has concerns, questions or complaints about specific implementations of accommodations, they should contact SAS to resolve (sas.office@unh.edu, 603.862.2607, 711 (TTY) or 800.735.2964 Relay NH). While it is not practical or desirable to create specific protocols for documenting every possible condition that might be considered a disability, institutions may choose to establish preferred guidelines. These guidelines are intended to request information that describes the condition, validates the need for accommodations AND includes information to support educational planning. They also should anticipate accommodation needs in new contexts and facilitate referrals to outside services and agencies. To establish protection from discrimination: Non-discrimination is an assurance that individuals with disabilities will not be excluded or provided lesser access to programs and activities based on assumptions rooted in stereotype or perception of ability that are not based in fact. Non-discrimination also provides freedom from harassment based on perceptions of disability. Documentation needed only for protection from discrimination based on disability can be quite brief. A diagnostic statement from an appropriate professional, a past history of recognition as a person with a disability or even self-identification that indicates how others might regard the individual as having a disability could suffice as the basis for protection from discrimination. To determine the accommodations to which you may be entitled: Reasonable accommodations include modifications to policy, procedure or practice and the provision of auxiliary aids and services that are designed to provide equal access to programs and services for qualified individuals with disabilities. Accommodations are reasonable when they do not fundamentally alter the nature of a program or service and do not represent an undue financial or administrative burden. Disability documentation for the purpose of providing accommodations must both establish disability and provide adequate information on the functional impact of the disability so that effective accommodations can be identified. Examine the impact of a disability on the individual and within the specific context of the request for accommodations. There is no list of covered disabilities or accepted diagnostic criteria. Institutional documentation policy should be flexible, allowing for the consideration of alternative methods and sources of documentation, as long as the essential goal of adequately describing the current impact of the disability is met. Avoid elevating form over substance in documentation guidelines, e.g., the temptation to require specific language (“learning disability”). Clinicians’ training or philosophical approaches may result in their use of euphemistic phrases, rather than specific diagnostic labels; this practice should not be automatically interpreted to suggest that a disability does or does not exist. Service providers are encouraged to contact the evaluator, as necessary, for clarification of any information (test results, conclusions, recommendations, etc.) contained in documentation. An interview, filtered by the service provider's professional judgment, is extremely valuable in substantiating the existence of a disability, understanding its impacts and identifying appropriate accommodation. The individual with a disability is an excellent source of information on strategies that maximize access. In the context of documentation and accommodation planning, the individual is a rich, reliable, and valid source of information on the impact of the disability and the effectiveness of accommodations. The individual may be provided with his/her first choice of accommodation or an alternative, effective accommodation determined by the institution. While objective confirmation (documentation) is legitimate, so are the lived experiences of individuals. Reasonable accommodations are individually determined & should be based on the functional impact of the condition and its likely interaction with the environment (course assignments, program requirements, physical design, etc.). As such, accommodation recommendations may vary (for) individuals with the “same” disability diagnosis and from environment to environment for the same individual. Disability-related information should be collected & maintained on separate forms and kept in secure files with limited access. Many barriers to full participation reside in the environment (physical, curricular, attitudinal, informational) where proactive redesign can favorably impact sustainable access. Service providers are encouraged to work to increase overall accessibility through system change that makes the institution more inclusive and reduces the need for individual accommodation. By identifying the essential dimensions of documentation, institutions allow for flexibility in accepting documentation from the full range of theoretical and clinical perspectives. This approach will enhance consistency and provide stakeholders (students, prospective students, parents and professionals) with the information they need to assist students in establishing eligibility for services and receiving appropriate accommodations. A description of the diagnostic methodology used … includes a description of the diagnostic criteria, evaluation methods, procedures, tests and dates of administration, as well as a clinical narrative, observation, and specific results… Diagnostic methods that are congruent with the particular disability and current professional practices in the field are recommended. …may include formal instruments, medical examinations, structured interview protocols, performance observations and unstructured interviews. If results from informal, non-standardized or less common methods of evaluation are reported, an explanation of their role and significance in the diagnostic process will strengthen their value in providing useful information. A description of the current functional limitations … how the disabling condition(s) currently impacts the individual. …thorough enough to demonstrate whether and how a major life activity is substantially limited by providing a clear sense of the severity, frequency and pervasiveness of the condition(s). While relatively recent documentation is recommended in most circumstances, common sense and discretion in accepting older documentation of conditions that are permanent or non-varying is recommended. It is important to remember that documentation is not time-bound; the need for recent documentation depends on the facts and circumstances of the individual’s condition. A description of the expected progression or stability of the disability …expected changes in the functional impact of the disability over time and context. Information on the cyclical or episodic nature of the disability and known or suspected environmental triggers to episodes provides opportunities to anticipate and plan for varying functional impacts. If the condition is not stable, information on interventions (including the individual’s own strategies) for exacerbations and recommended timelines for re-evaluation are most helpful. A description of current and past accommodations, services and/or medications … a description of both current and past medications, auxiliary aids, assistive devices, support services, and accommodations, including their effectiveness in ameliorating functional impacts of the disability…significant side effects from current medications or services that may impact physical, perceptual, behavioral or cognitive performance… While accommodations provided in another setting are not binding on the current institution, they may provide insight in making current decisions. Recommendations for accommodations, adaptive devices, assistive services, compensatory strategies, and/or collateral support services…recommendations from professionals with a history of working with the individual provide valuable information for review and the planning process. It is most helpful when recommended accommodations and strategies are logically related to functional limitations; if connections are not obvious, a clear explanation of their relationship can be useful in decision-making. While the post-secondary institution has no obligation to provide or adopt recommendations made by outside entities, those that are congruent with the programs, services, and benefits offered by the college or program may be appropriate. When recommendations go beyond equitable and inclusive services and benefits, they may still be useful in suggesting alternative accommodations and/or services. Users of Foundational Elements and Seven Essential Elements are encouraged to also download AHEAD’s most recent Word Document on Supporting Accommodation Requests: Guidance on Documentation Practices (April 2012). Student requests for accommodation and documentation are considered confidential. At times, it may be necessary for SAS to discuss the nature of accommodations—but not the nature of the impairment/disability—with student service providers, such as Instructors/Professors, CFAR, Coaches, Staff Members, etc. This discussion is necessary to ensure the effective implementation of accommodations. As well, the university may be required to release such information for medical emergencies, legal proceedings or otherwise to comply with state or federal laws. The same standard of confidentiality will also apply to student complaints regarding accommodations.